Please place your opinions here! These guys are fanatically crazy about coffee, and yet approachable enough to share their enthusiasm with anyone who's interested. I've actually thought about flying up there, just to experience their coffee again - bit hard to explain that one to the Mrs, but. 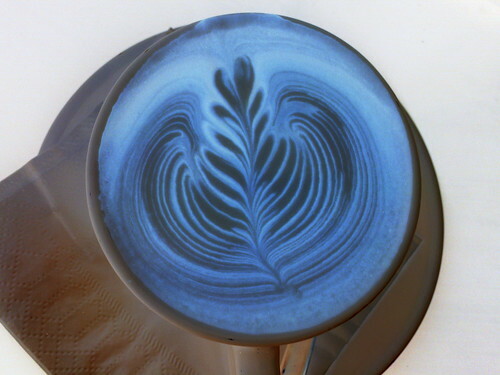 I know this sort of thing gets covered on a regularish basis, but just wanting a list of some of Sydney's top cafes. Will be over in Sydney from this Saturday until the Wednesday, but really will be limited to the CBD in relation to choosing cafes, so would like a nice little list to go with. "Because you operate a coffee machine, doesn't make you a barista"
I know this sort of thing gets covered on a regularish basis, but just wanting a list of some of Sydney's top cafes. if you're limited to the Sydney CBD try Mecca on the corner of King and York streets (King street side) under the Grace hotel, and Elixir in the Strand arcade. I also enjoyed Campos and Toby's Estate very much, didn't make Mecca this time around, but will definitely check it out next time around. I used to enjoy going to Paddington Grind. Bar zeppa in Double Bay as well. Single Origin is an interesting place ... I love their roasts. My personal favourite Sydney cafe (Grind in Cronulla) uses beans from Single Origin, BUT, I don't rate the actual cafe as highly. I think their (in-house) coffee is all about mouthfeel, and less about taste. Their shots are super-short, and kinda fluffy/buttery. Like whipped butter. It's all an amazing mouthfeel, that's really quite impressive. BUT, my own personal opinion is that the pursuit of an amazing mouthfeel has somewhat sacrificed a depth of flavour. I remember cocoa/chocolatey notes, but that's about it. That said, I reckon they're still up there, in my top four or five cafes. And as a roaster, they ROCK! damn... it must be good coz that's a long way to travel or a good coffee! Pablo and Rusty's in Gordon-beautiful coffee! Toby's Estate in Woolloomooloo and Campos do it for me. Toby's has a wonderful decor - suited to coffee dates, business meetings, breakfast with friends... it has a very nice, funky vibe about it. Most importantly it feels very relaxed - leaving you to have your coffee in peace. I have been here for training on several occasions and for coffee on several others - the coffee is consistently fantastic (including my girlfriend's soy decaf, perhaps finer than most full-cream regular coffees I've had in Sydney). There is a lot of passion behind the people at Toby's, and they have a very friendly vibe (except for that one Barista.. you can't miss him..). Toby's is 129 Cathedral Street, a ten minute walk from St. James station or Kings' Cross. I haven't been to the Chippendale cafe (opposite Broadway), but I've heard it isn't as good as this main branch. Campos, on the other side of the CBD, doesn't have the same vibe of relaxed, easy drinking - it has more of a frenetic, obsessive-compulsive buzz to it. The coffee here is taken more seriously than food at most fine-dining restaurants (indeed, it was ranked above Tetsuya's at one point on eatability). As a Barista, this is an attitude I greatly admire and so I have nothing but respect for Campos by default. The Baristas have a no-talk policy (I think) here but that's irrelevant, I find that when I am in Newtown, I am often on my way somewhere. I normally order take-away, but sometimes I sit down at the bar to slam down a coffee. Either way, I'm out within minutes with a very pleasant aftertaste guiding my back down King Street. Campos is about a 15 minute walk from Newtown station, on Missenden Rd. just off King street. For my money it's The Penny Royal @ Mosman and boy have i missed those guys, they've been closed since xmas and re-opening soon, can't wait! Also when i'm in the city i would also have to say Single Origin Roasters, they're great, nice local too! I have to back you up on that one The Penny Royal is one of my little favourite gems, please don't tell too many people on me. Campos and Toby's Estate get my vote. And if I had to pick one of the chains, I'll have to say Chrysler. In the melbourne coffee festival, I thought Toby's estate craped all over the rest. Toby's has now expanded to Melbourne, our head roaster has gone over there. I'm not sure where in Melbourne. I think the place over there is going to open sometime mid-May. 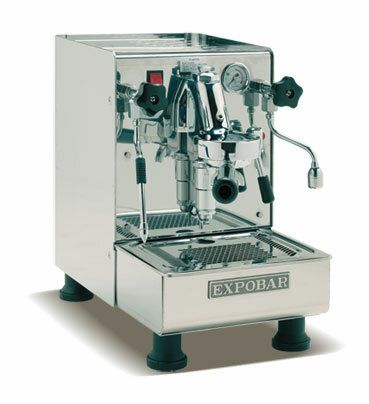 Probably worthy in a separate thread, but haven't really seen the benefit in taste of a naked extraction... but found it more of a useful tool for training and experimenting with tamp/distribution/dosing/etc... been using it for a short while.... use a lot more ground coffee too! Good article by Emily on naked coffee in Crema Magazine Winter 2007 Edition... there's a plug for the mag. Headlines Coffee Shop [Circular Quay]; Barefoot Coffee Traders [Manly]; Buzz Espresso [City]; Cockle Bay Kiosk [Pyrmont Bridge]; Da Piccolo [East Sydney] & Martin Place Food Parlour [City] - they did add the rider that they're recommending places that can serve something up in a hurry, but still the title heading was 'best places for your daily fix' - scary! !